Praised for playing that is "warm and vocal" (Boston Musical Intelligencer), Michael Avitabile is a flutist, entrepreneur, and educator dedicated to the music of our time. He is the Founder and Executive Director of Hub New Music, a Boston-based mixed quartet that has quickly become a prominent force among younger contemporary music organizations. Under his leadership, HNM has commissioned quartets and collaborative projects from a diverse cohort of innovative musical minds including Hannah Lash, Robert Honstein, Kati Agocs, Takumah Itoh, Angel Lam, and the composer-collective Oracle Hysterical. He has also spearheaded collaborations with Boston’s Urbanity Dance, the Silk Road Ensemble’s Kojiro Umezaki, and the Asia-America New Music Institute. The ensemble maintains an active touring schedule and has been featured in the Boston Globe, WQXR (NYC), WFMT (Chicago), New York Times, WBUR (Boston), and the Oregon Artswatch among several others. As an educator, Avitabile focuses on empowering students with skills to build the arts organizations of tomorrow. His lectures translate the day-to-day experiences of running an artist-led organization into a series of workshops covering topics such as self-management, non-profit development, and commissioning new work. He has been a guest lecturer on Arts Entrepreneurship and Contemporary Music at institutions such as Harvard University, the University of Michigan, University of Colorado Boulder, New England Conservatory, University of Texas at Austin, and others. Outside of his work with HNM, Avitabile has worked with prominent composers including Harrison Birtwhistle, John Zorn, Brett Dean, and Christian Wolfe. As an orchestral musician, he has received fellowships to play with the National Repertory Orchestra, Banff Festival Orchestra, and has also performed with the New World Symphony. He holds degrees from the University of Michigan (BM) and New England Conservatory (MM), graduating with top honors from both schools. At Michigan, we was a Shipman Scholar, one of the highest awards given to an incoming student university-wide. While at NEC, he received the John Cage Award for Outstanding Contribution to Contemporary Music. In his free time, Avitabile enjoys developing recipes, practicing yoga, and exploring Boston’s many coffee shops. 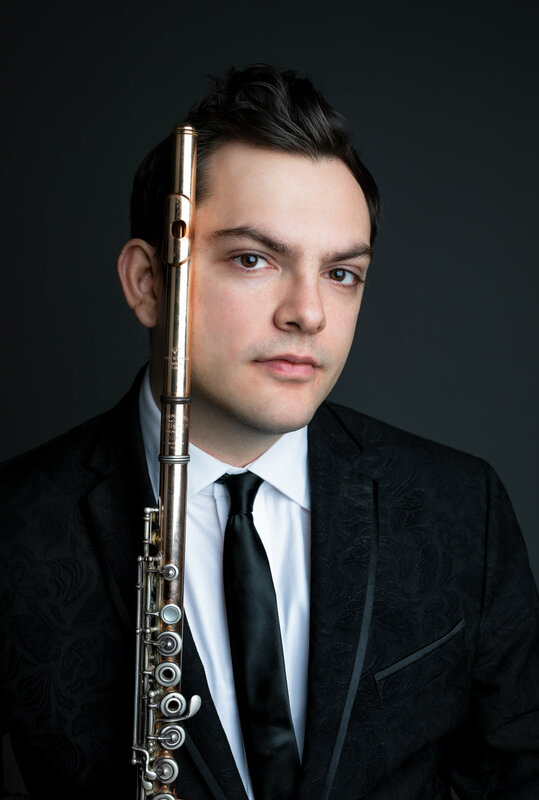 Described in The Boston Musical Intelligencer as “fluid and acrobatic without strain,” clarinetist David Dziardziel is a multifaceted Boston-based musician. He frequently performs with groups such as the Boston Philharmonic Orchestra, Boston Chamber Orchestra, Haffner Sinfonietta, Unitas Ensemble, Phoenix, Symphony Nova, NEMPAC Opera Project, and Commonwealth Lyric Theater. As an advocate of new music, David is the clarinetist for Hub New Music, a critically acclaimed chamber ensemble comprised primarily of flute, clarinet, violin, and cello. Hailed by The Boston Globe as “elegant and exacting,” Hub maintains a national touring schedule, while contributing to the vibrant new music community at home in Boston. He has also performed for new music concert series' - Equilibrium (Boston, MA) and Verdant Vibes (Providence, RI). Recent collaborations include those with composers Kati Agócs, Robert Honstein, and Thomas Oboe Lee. David began studying the clarinet at the age of 14 through University of Hartford’s Community Music Division with Dr. Richard Shillea and Alan Francis. He then went on to obtain his Bachelor of Music from The Boston Conservatory having studied with Michael Norsworthy, and most recently earned his Master of Music from New England Conservatory under the tutelage of Richard Stoltzman. For more information please visit www.daviddziardziel.com. .
Alyssa is a passionate violinist and an emerging conductor. 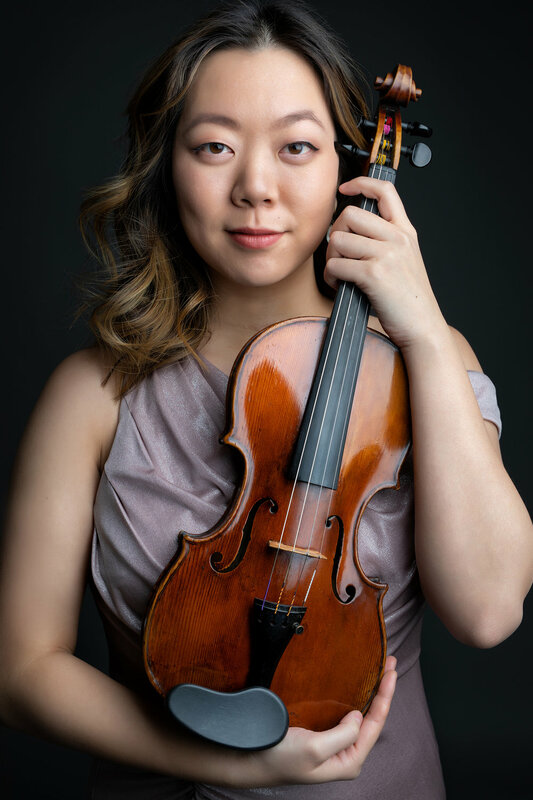 In 2016, she earned her Bachelor’s Degree from Carnegie Mellon University under the tutelage of Andres Cardenes (Concertmaster, Pittsburgh Symphony Orchestra, 1989-2010). In 2016, she was the winner of the Carnegie Mellon School of Music Concerto Competition, the Pittsburgh Female College Association Prize, the Carnegie Mellon Women’s Award, and the Senior Leadership Award. She won first prize in the Silbermann Chamber Music Competition and was the recipient of the 2015 Presser Undergraduate Scholar Award, Harry G. Archer Award, and Paul J. Baum Fund Award. She has soloed with the Carnegie Mellon Philharmonic and the Pittsburgh Philharmonic. During her senior year at Carnegie Mellon she helped to run the Heritage Scholarship Campaign, which raised over $180,000 to start a substantial undergraduate merit scholarship for future School of Music students. Alyssa is also an Andrew Carnegie Scholar. Alyssa is soon to complete two Master’s Degrees in violin performance and conducting at the New England Conservatory. She has won fellowships as a violinist with the Grammy-nominated ensemble, A Far Cry, and the Boston Chamber Music Society. Recently, she was appointed as assistant conductor to the Boston Modern Orchestra Project. Her primary violin teacher at NEC was Malcolm Lowe (Concertmaster, Boston Symphony Orchestra). During the summers she has been assistant conductor for the Colorado College Summer Music Festival with Scott Yoo and a conducting fellow at Eastern Music Festival under the tutelage of Gerard Schwarz. In the summer of 2019 she is excited to act as assistant conductor to Paul Polivnick at the New Hampshire Music Festival. Alyssa is the most recent member to join Hub New Music, and is excited for the artistic journey ahead! In her spare time she enjoys social dancing, photography, and dim sum. For more information please visit alyssa-wang.com. 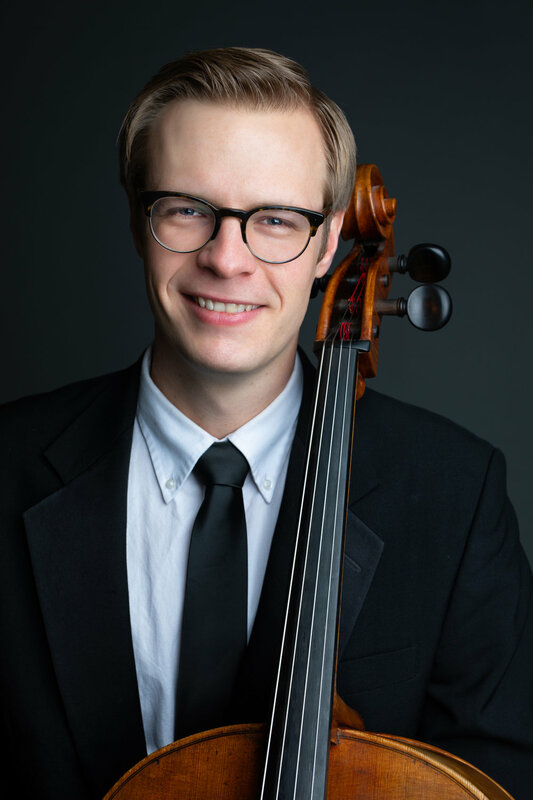 Hailing from Daytona Beach, Florida, Jesse Christeson has served as Principal Cellist of the Mississippi Symphony since the 2013-14 season. Prior to his appointment, Mr. Christeson received a master’s degree in music performance from Rice University (in the studio of Norman Fischer), and completed his third consecutive summer as a Fellow of the prestigious Tanglewood Music Center. For several years Mr. Christeson has been very active as a multi-faceted performer and teacher in Houston, TX. In addition to working as a freelance cellist, he performed as a vocalist in the Houston Grand Opera and Bach Society of Houston choruses. During that time, he maintained a full cello studio of pupils from the Rice Preparatory Program and local public schools. Apart from Tanglewood, Mr. Christeson’s recent summer engagements include the festivals of Aspen, Brevard, and the National Orchestral Institute. He received his bachelor’s degree from Stetson University in DeLand, FL, where he studied cello (in the studio of David Bjella), voice, and philosophy. Mr. Christeson has served as a frequent substitute cellist for the Orlando Philharmonic and Southwest Florida Symphony.